The Southern Division of the Central Midlands League is shaping up for a very interesting climax. Sherwood Colliery lead the way and you would probably make them favourites, while Hucknall Town, Eastwood Community and Pinxton are all very well placed should the boys from Debdale Lane slip up. As Step 7 leagues go, you won’t find many stronger. Of the sixteen clubs, just two are reserve sides, although there is a further pseudo-reserve side! 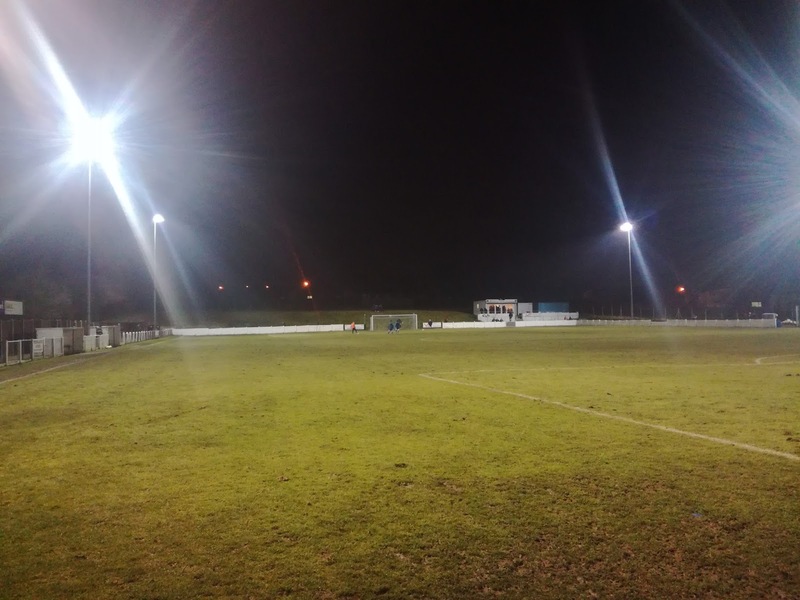 Nine of the clubs have floodlights, whereas the four leading clubs have all applied to be promoted to Step 6. To be truthful, all of the four have the facilities, the teams and the infrastructure to be comfortable at the next level, but it’s going to come down to the number of vacancies. If you can show me a league at this level, as strong as this, then I'll eat my clouts! 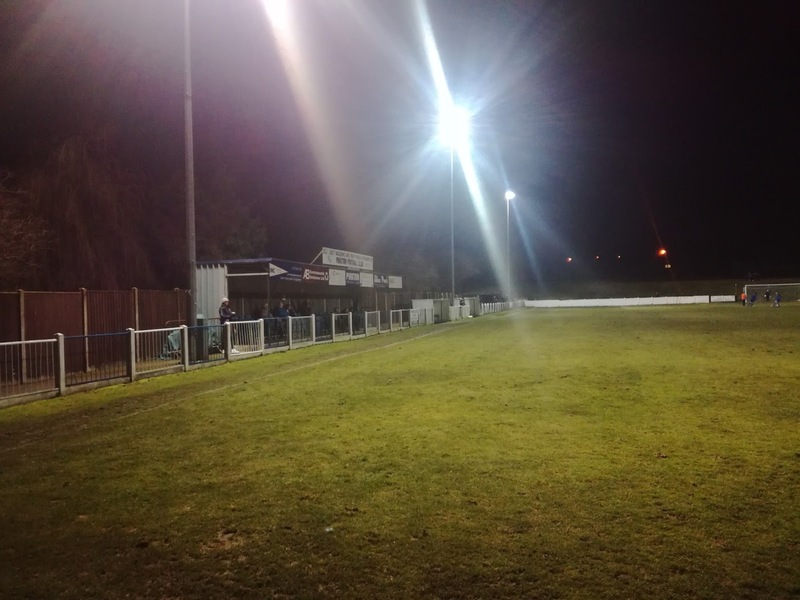 Pinxton Football Club came out of Sunday football and joined the Premier Division of the CML in 2004-05, and after a couple of yo-yo seasons between that and the Supreme Division, they have become an established club in the top flight. 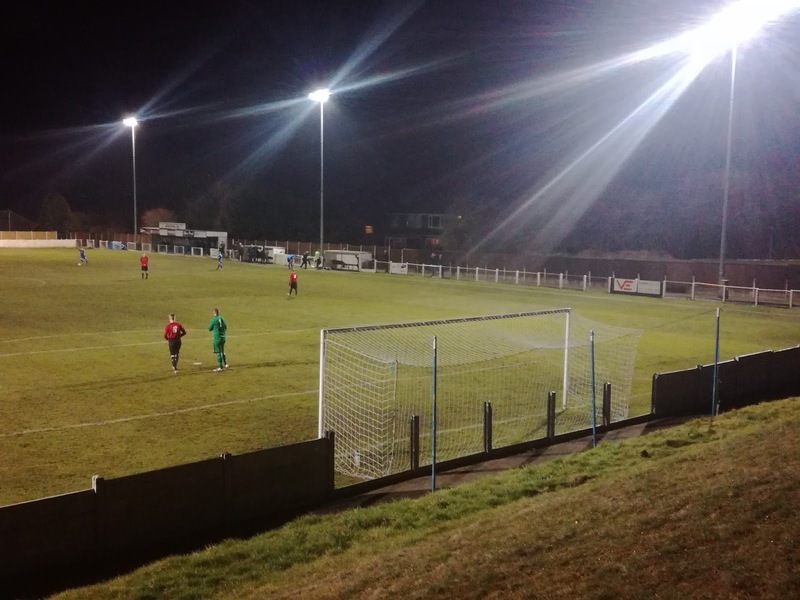 They missed the cut to join the East Midlands Counties League, but can count themselves as very unfortunate not to have been promoted before now. Three second placed finishes, a third place and a fourth were close, but not close enough to lead them to the coveted Step 6 place they so crave. Could this be the season? Maybe, but it might not be via a Championship, but either way, no one would begrudge them the right to move upwards. I liked what I saw. 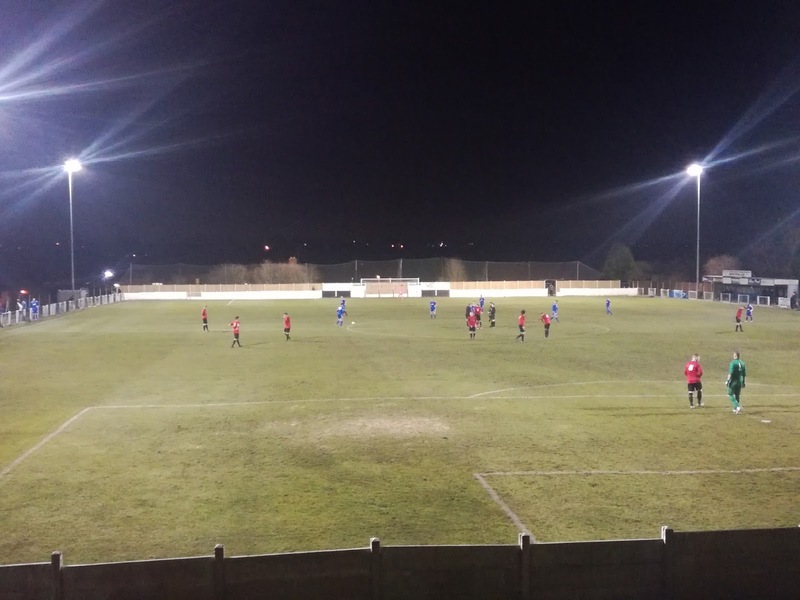 The ground has one stand out feature and that is the huge grass bank that sits behind the North goal, it offers a fabulous view of the game, and in the distance the industrial areas of Pinxton can be viewed. The ground has changed a little since my first visit, the stand that sits towards the dressing rooms on the West side had had some seats put in it, while a tea bar area now sits at the side of the bank, almost on the North East corner flag. The crowning glory though is without doubt a visit to the Miners Welfare, or Miners Institute as it’s now known. On every visit to the ground over the years, which probably amounts to around half a dozen, I’ve always made a point of nipping into the Welfare for a couple of pints. To this day though, I always feel a slight sense of apprehension before stepping over the threshold, for no other reason than the fact on every visit I’ve gone straight from work and been wearing a suit! I’ve been in, once sat with a pint, I’ve never felt anything other than comfortable and welcome. Pinxton Welfare is brilliant, full of characters, and I challenge anyone to sit and listen to the banter and not have to try and prevent laughter, it’s one of those kind of places, merciless at times, but as honest as the day is long, and I suspect, if you are in bother, it won’t be hard to find a helping hand. Suitably imbibed it was time to check in on the action. 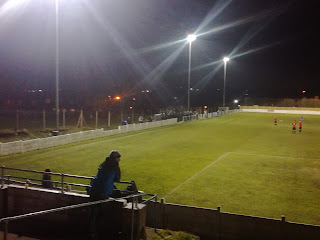 A decent crowd had pitched up on a night that wasn’t as cold as expected, and they got treated to a game that would have been befitting of a higher level of football. Pinxton were the dominant side from start to finish, and apart from a goal from Jay Cooper, a player who I’ve thought could perform at a higher level, they had to settle for a 1-0 victory. Chances went begging, especially in the second period when the experienced pairing of Kieran Debrouwer and Nathan Benger should really between then have put the game beyond any doubt. Fair play to Debrouwer as well, he put in a perfectly legal challenge on the Eastwood left back late in the game, but it was a hard challenge and the young lad came off worse. I don’t know the extent of the injury to what appeared to be his ankle, but it didn’t look great. The Pinxton centre forward, while coming under a barrage of (undeserved) criticism from a lone Eastwood fan, took the time to check on the players welfare. And that was it really, a very good night’s entertainment, with plenty of chat with some local non-league football dignitaries, notable Tony Squires of the CML, Dave Woodings of the Isle of Skye Summer Football League and Brian Thorpe of the Alfreton Town Club Shop / Bargain Bazaar. I gave Brian a lift home, we chatted about the modern football compared to the late Sixties / Early Seventies. I often hear that sides from that era would wipe the floor the current sides, we both agreed that was utter tripe. Just take a look at some of the team photos from that era, every other player had a beer belly, they wouldn’t last five minutes these days. Not saying that technically they weren’t as good, if not better, but from a physique point of view it was a different World. 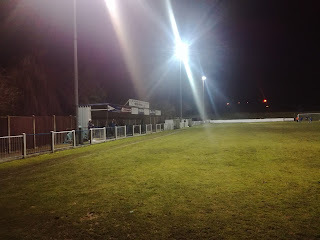 I digress, I need to visit Pinxton more often than I do, hopefully sooner rather than later it’ll be to see them playing at a higher level of football. The next couple of months should tell us whether that will be a reality or not. One thing is for certain though, it doesn’t matter what level of football Pinxton play at, the Miners Welfare will never, ever, change.